Status: I am Aidyl Gaviola, 21 years of age, single, Filipino and, Roman Catholic in religion. 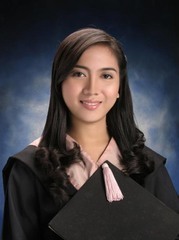 A fresh Graduate of Bachelor of Science in Nursing last April 2008 from an excellent training school of Cebu City Medical Center- College of Nursing which produces high quality and very skilled students. A newly Local Board passer last June 2008 with a Board rating of 80.6%. A very good, hardworking and dedicated person. I possess an ample amount of values which a nurse should have. Competence, Commitment to service and Compassion to care are few of these.